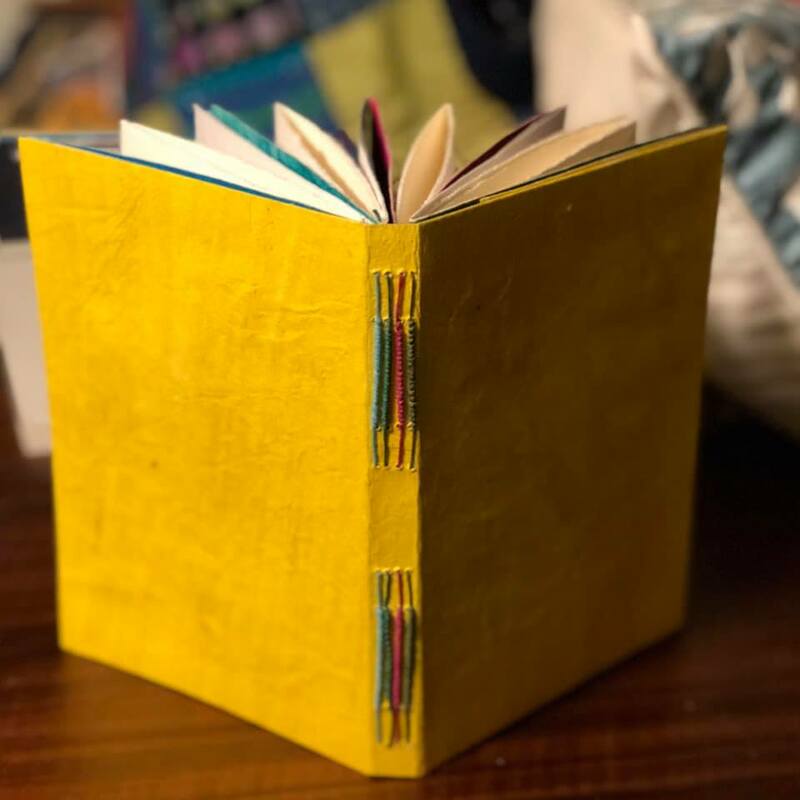 Last month Catherine Ednie shared an awesome book in my Crafting Handmade Books Facebook group and I asked her permission to share it on my blog. 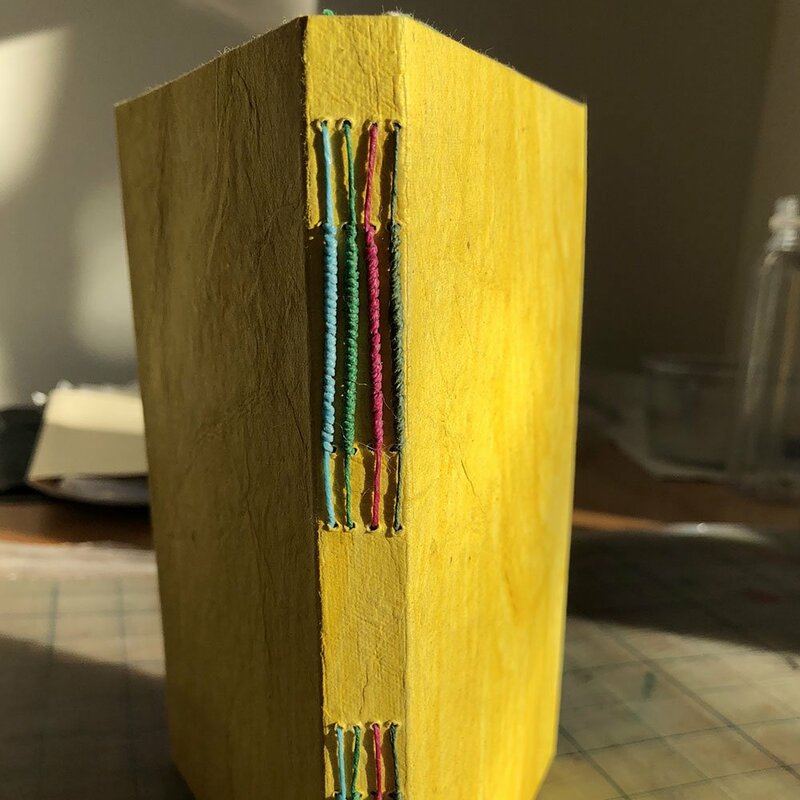 Catherine retired in April 2018 and after discovering a small community of book arts enthusiasts near her home in Hancock, Maine, she dove into the world of handmade books. 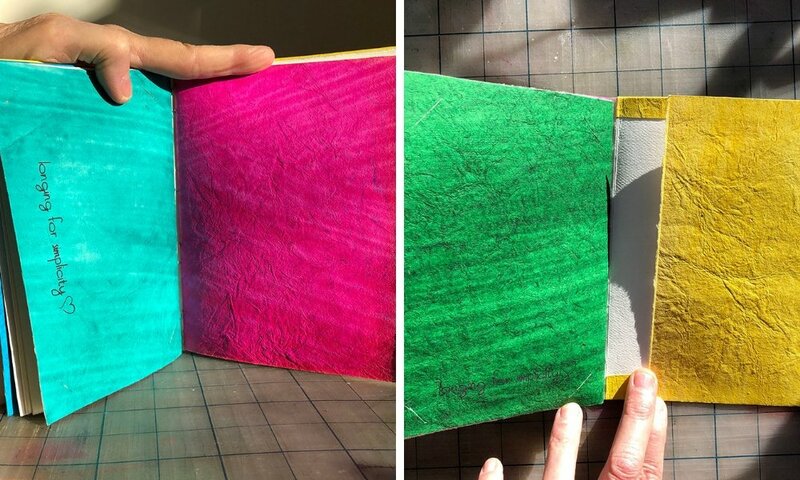 She took a class in Coptic binding and learned about botanical printing on papers and began making journals with her own dyed papers. 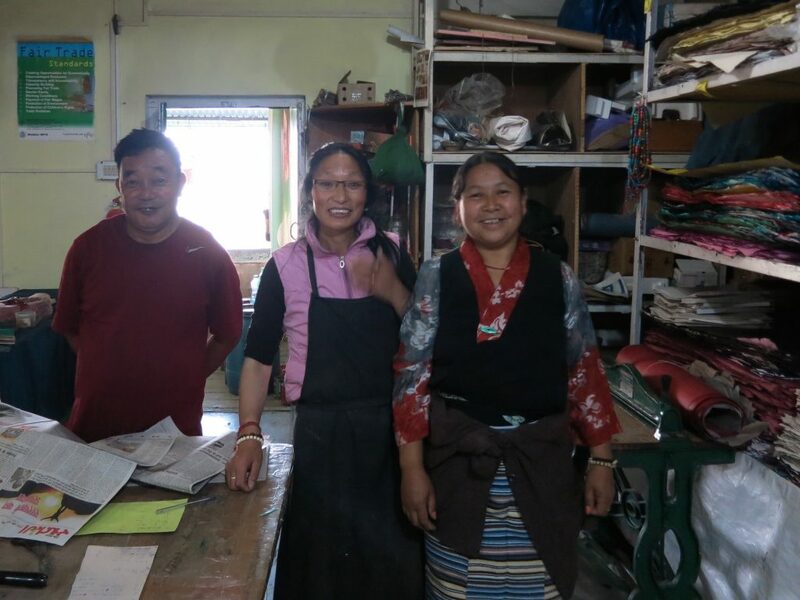 She branched out into other types of binding and created this Long Stitch book using some special handmade papers she purchased on a trip to McLeod Ganj, India in June 2015. If you want to create a similar book, you can follow the instructions in my Long Stitch with Packing tutorial. And I encourage you to check out more of Catherine’s work on her website, Gemtactics.